While it’s been a couple of years in evolution, Catt Sirten’s “Live From Avalon” is having its first live-recorded show highlighting local music hit the airwaves of Alabama Public Television. Thursday night May 26, from 7-9 p.m. at Mobile Public Library’s Bernheim Hall, the popular band Roman Street will help see Sirten’s vision to fruition. The well-known radio personality and musical impresario has been working for a couple of years to see “Live From Avalon” spread Mobile’s music statewide. Sirten has spent the past three decades working to improve the Azalea City music scene through his radio shows “Catt’s Sunday Jazz Brunch” and “Radio Avalon.” In 2014 he began recording “Live From Avalon,” hoping to see it develop into a program in the vein of the very popular “Austin City Limits” series. His goal from the start has been to see Mobile-area music brought to a much larger audience. Sirten has pointed to Roman Street as an example of Mobile’s musical diversity and strength — a flamenco-influenced acoustic group that seems to defy the stereotypes of what might be popular in a midsized Southern city. But he has pushed “Live From Avalon” because he thinks the amount of quality, original music being created in this area deserves recognition. Tickets for the Roman Street show are $15 and can be purchased via the “Live From Avalon” Facebook page. It’s been almost exactly four years to the day since Newhouse’s Advance Publications announced the formation of the Alabama Media Group — the organization that ultimately took over operation of the Press-Register, Birmingham News and Huntsville Times. On May 25, 2012, a news story heralded the “digitally focused media company” that would be coming in the fall and also dropped the bombshell that the cities under its control would see their dailies go to three days a week production. The layoffs and cutbacks that would follow were portended by the now-infamous headline announcing “exciting changes” for Press-Register readers. “The change is designed to reshape how Alabama’s leading media companies deliver award-winning local news, sports and entertainment coverage in an increasingly digital age. The Alabama Media Group will dramatically expand its news-gathering efforts around the clock, seven days a week, while offering enhanced printed newspapers on a schedule of three days a week,” read an al.com story at the time. It’s interesting to look back at the announcement and the grandiosity of what was offered and, four years later, the reality. Most, if not all, of those heading up AMG at that time are no longer with the company, nor are the vast, vast majority of those who worked with the three newspapers at the time. 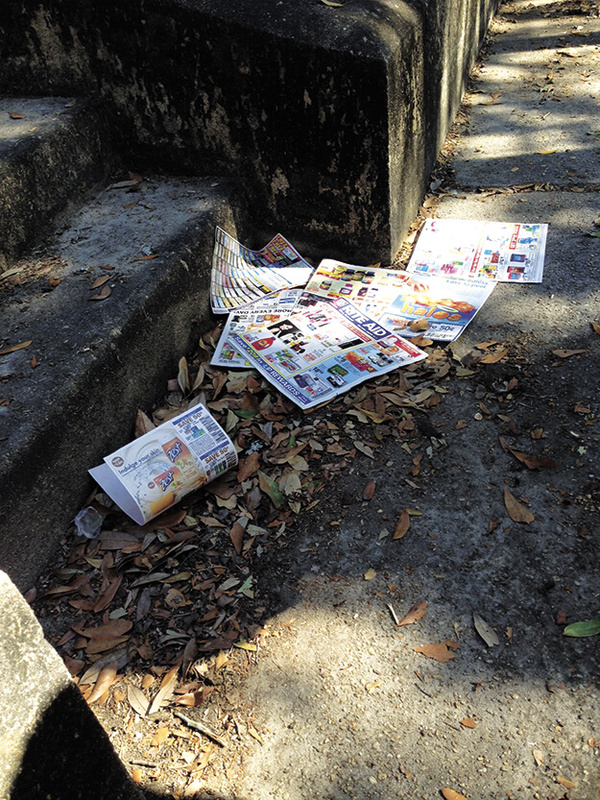 Circulation figures now are ghosts of what they were just four years ago, and, at least in Mobile, the Press-Register’s once-legendary clout is gone. While there are still a few familiar bylines, the number of reporters — or content generators, or whatever they call a reporter now — has plummeted and most of the names you see are new to the area, often replacing someone who was new to the area not so long ago. It’s hard to look at what Alabama has been left with from these newspapers that brought billions into the Newhouse coffers over the years and not think this has been a painstakingly planned destruction of a big part of the state’s media. Right now it seems so few people are paying attention to what were once three of the state’s largest newspapers, that even the good work they do goes mostly unnoticed. In Mobile most of the reporters who once plied the hallways of Government Plaza, attended the school board and water board meetings, or kept an eye on the county have found new lives away from the daily (or thrice-weekly) deadlines. Into that void Lagniappe and the television stations have climbed, trying to provide as much important coverage as possible, but it’s definitely a different world. It’s hard to envision a big comeback for these newspapers and al.com, but they do still have deep pockets and technology may eventually reward them for being the first to jump feet-first into the digital ocean. Right now, though, looking back at what was said four years ago, it’s hard to see the decision as anything more than an abject failure.